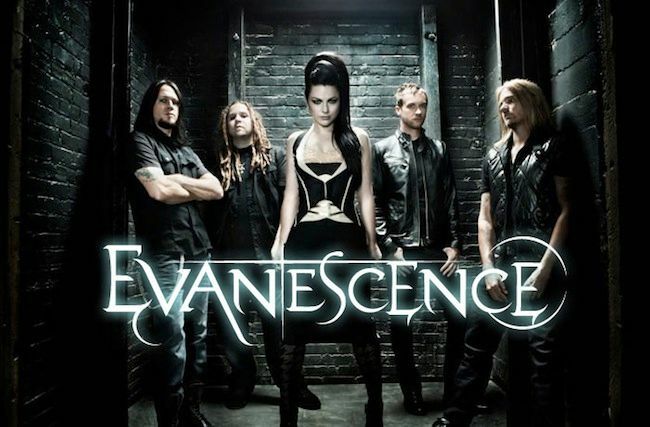 Evanescence is an American rock band founded in Little Rock, Arkansas in 1995 by singer/pianist Amy Lee and guitarist Ben Moody. After recording private albums, the band released their first full-length album, Fallen, on Wind-up Records in 2003. Fallen sold more than 15 million copies worldwide and helped the band win two Grammy Awards and seven nominations, in addition, Fallen is #6 at the "Top Bestselling albums of the last 10 Years". A year later, Evanescence released their first live album, Anywhere but Home, which sold more than one million copies worldwide. In 2006, the band released their second studio album, The Open Door, which sold more than five million copies. The line-up of the group has changed several times: David Hodges leaving in 2002, co-founder Moody left in 2003 (mid-tour), bassist Will Boyd in 2006, followed by guitarist John LeCompt and drummer Rocky Gray in 2007. The last two changes led to a hiatus, with temporary band members contributing to tour performances. Billboard ranked Evanescence #71 on the Best Artists of the Decade chart.